#HFMBootcamp: Meet HFM's resident personal trainer, Ben Binder | HELLO! If you follow us on Instagram you'll probably have noticed that over the past few weeks we've been posting some sneak-peeks from our new HFM bootcamp. 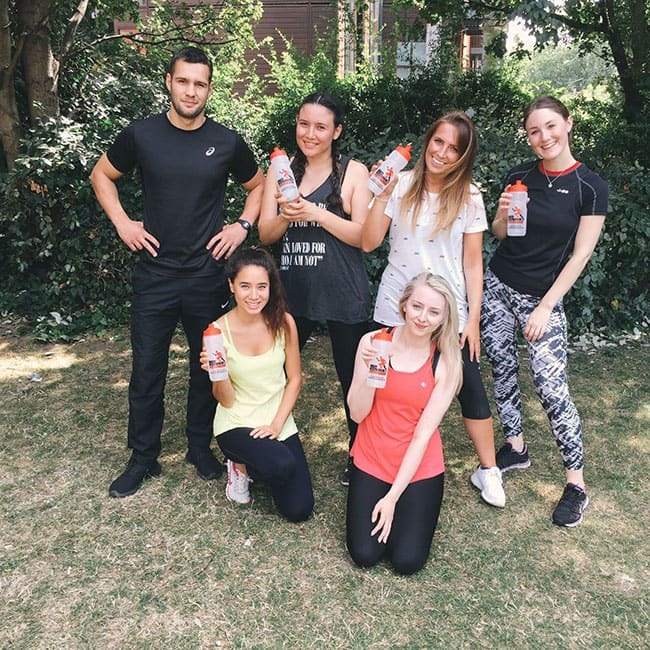 After realising that the afternoon coffee run was as close as we were getting to working up a sweat, we enlisted professional personal trainer, Ben Binder to help whip us into shape. 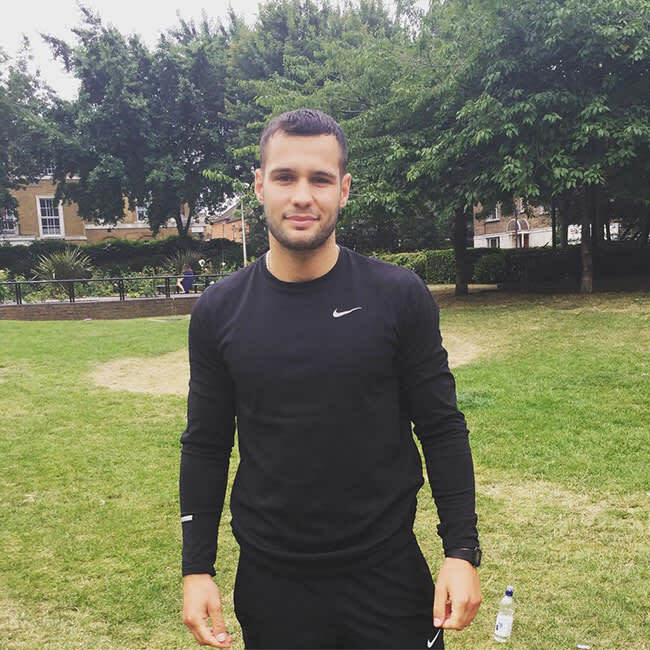 An ex Matt Roberts pro, we sat down with Ben post-workout to find out a little more about his fitness CV, love for burgers and how he's going to get us through our workouts when we’re flagging! 1) When did you first get into fitness? Probably when I was around 10 years old, I'm a Tottenham fan and have been playing football for ages. I didn't do it so much for the physical changes but more for my confidence; I've always been a very shy person and was really closed off until I was about 20 and I found fitness really helped. 2) What made you decide to do it professionally? I looked into it when I was about 16 but then got side-tracked and ended up becoming a plumber (which I hated! ), so around three years ago now I got back into it. My first job was at Virgin Active and then I made the move to the high profile Matt Roberts gym but I always knew I wanted to go it alone and work for myself. 3) Do you prefer bootcamps or one-on-one training? Bootcamps are great, it means I can help more people, physically but mentally too by making it more of a sociable activity. 4) What training do you do personally? At the moment I'm focusing more on strength but I love HIIT workouts and circuits to keep the body functioning well. I usually go to the gym but I've got a little studio at home too which is handy. 5) What's your favourite/least favourite area to train? Favourite is probably core work and least favourite shoulders and legs. No one likes doing legs! 6) Do you watch what you eat? I usually eat five times a day. For breakfast I'll go for eggs and salmon with spinach, a bit of protein with some fats like avocado. If I train before lunch I won’t eat carbs, I'll eat my carbs afterwards. Snack-wise I'll have nuts, houmous and crackers, carrots or beef jerky, basically just keeping it as natural as possible and avoiding sugar. Dinner's usually a lot of protein but as I eat well during the week if I'm out with friends at the weekend I don't restrict myself too much. Oh, and nothing beats my mum's cooking! 7) What’s your ultimate cheat treat? 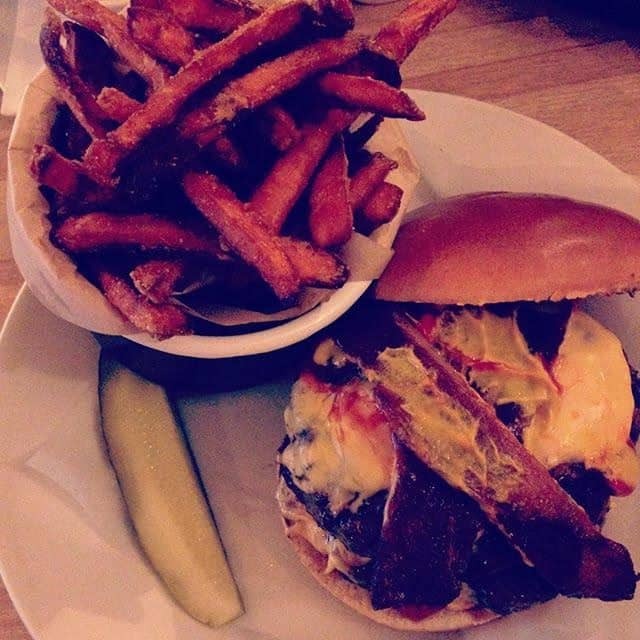 I love burgers. Shake Shack ones are probably my favourite! 8) Who's your dream celeb client? Probably Gary Vaynerchuk (an American entrepreneur and motivational speaker), I love listening to him and everything he stands for, he's got some great videos on Facebook. 9) Is there anyone in the fitness world who inspires you? The thing with the fitness world is that everyone is doing a similar thing in a similar way right now although I think Joe Wicks was the first one to spark it with his #Leanin15 meal plans. 10) What would you most like to achieve in your career? Confidence is what holds a lot of people back when it comes to fitness. In gyms there’s nowhere to hide and you're surrounded by big egos and loud personalities. What I'd really like to do is have accessible gyms where people who aren't confident can feel comfortable and part of a team.